Then do this: The title of the text is About Christian Constant. Think of a more imaginative title and then write it on the whiteboard. The aroma of chocolate perfumes the air of the rue d’Assas in Paris. 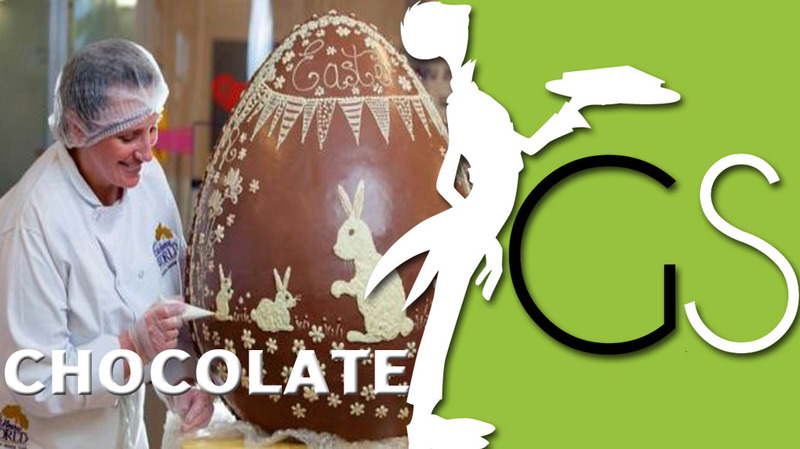 Entering Christian Constant’s state-of-the-art boutique, you find yourself in the kingdom of Paris’ king of chocolate, where the humble cocoa bean is being turned into mouth-watering chocolate Easter eggs. Constant, who is a chef, admits that chocolate is his passion and main interest in life. He first developed a fascination for chocolate when he was working for Gaston Lenôtre, a famous French pâtissier. Every year he has a theme for decorating Easter eggs: this year his decorations are inspired by art nouveau. Tonight he has a dinner for 130 to organise and he has to prepare a metre-high art nouveau decorated Easter egg by midday tomorrow. This, for Constant, is a normal schedule. Constant believes that his chocolate creations are as much a work of art as other sculptures. It is, therefore, understandable that the restaurant he opened last month, which is in the style of the 1930s, is situated in the National Monuments Museum in Paris. During the day the restaurant is a chocolate tearoom and offers chocolate in every imaginable form. Customers can choose from a selection of sweet chocolate desserts or try the more exotic spicy chocolates. Constant is also a ‘nose’, working closely with the French Institute of Taste. He is capable of identifying 450 different tastes and flavours. Constant explains that the mouth, which can only identify four things – salt, sweet, acid and bitter – is ‘stupid’ in comparison to the nose. He believes that the nose is everything. In his book The Taste of Chocolate, he explains that how in 1502 Christopher Columbus came across an island and went ashore. He was greeted by Indians bearing gifts, among which were huge sacks of beans which Columbus thought was the local currency. To his surprise, they prepared a drink for him. But Columbus, who disliked the odd bitter taste, continued on his travels, ignorant of the fact that he had just tasted cocoa. Like Columbus, Constant travels the cocoa countries where he checks quality and works with local experts. Quality can vary depending on the region, year and methods of preparation. According to Constant, Venezuela and Trinidad have the best. Constant, who is a hard worker, only sleeps three hours a night. He talks long into the night with members of the club he has formed. The club is called The Chocolate Munchers. The main official activity is to get together for monthly dinners where they eat a very tiny dinner and masses of chocolate desserts.